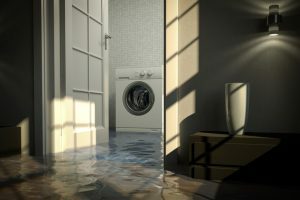 Water damage prevention is not a complicated endeavor, but it is important that you understand all that goes into it. If you do find yourself suffering the effects of water damage done to your home, we at TRAC Solutions in the Eau Claire area are only one call away ready to respond after a disaster. However, we want to help you from ever getting to that stage. Thus, below are a few of the most important water damage prevention techniques you can employ as a homeowner. A means of significant water damage that many people never think of stems from problems caused by tree roots. If you have trees planted near your home you should take care to ensure that they won’t interfere with any of your water pipes. If they do, they could cause the pipes to burst, resulting in water damage. While this may not be a fun job, it is critical for preventing water damage. If you let your gutter become too cluttered with leaves and other debris, they will not be able to drain properly as they should. This may cause water to spill out near places on your home that are not equipped to handle much water. One simple way to check if you have any flooding going on that you are unaware of is to check your water meter regularly. If it appears that there has been a large increase in water usage that seems unaccounted for, you probably have a leak and should discover where it is occurring as quickly as possible. Pouring grease down your sink is an easy way to cause clogging in your drain. The grease will quickly turn more solid after going down your sink. Always dispose of your grease somewhere apart from your sink. Water detection devices are not used by a large number of homeowners but the percentage is increasing. Water detection measure moisture in the air and moisture around them. If they detect too much moisture they will alert you hopefully preventing a flood from ever becoming too serious. You should have these throughout your home, but it is especially important to keep them in your basement where flooding is most likely to occur. Your roof is your first protection against rain, snow, and other types of weather. Over time, corrosion and deterioration of your roof will inevitably occur due to wind, precipitation, and erosion. Lastly, you should take the time out of your busy schedule to regularly check your appliances to ensure that they are in good working order and not leaking any water. This will only take a few moments out of your day, but it will help you catch issues with any of your appliances sooner and prevent water damage stemming from them. Remember, the pros at TRAC Solutions are ready day or night to respond to any water damage emergency you may have. Don’t hesitate to call!